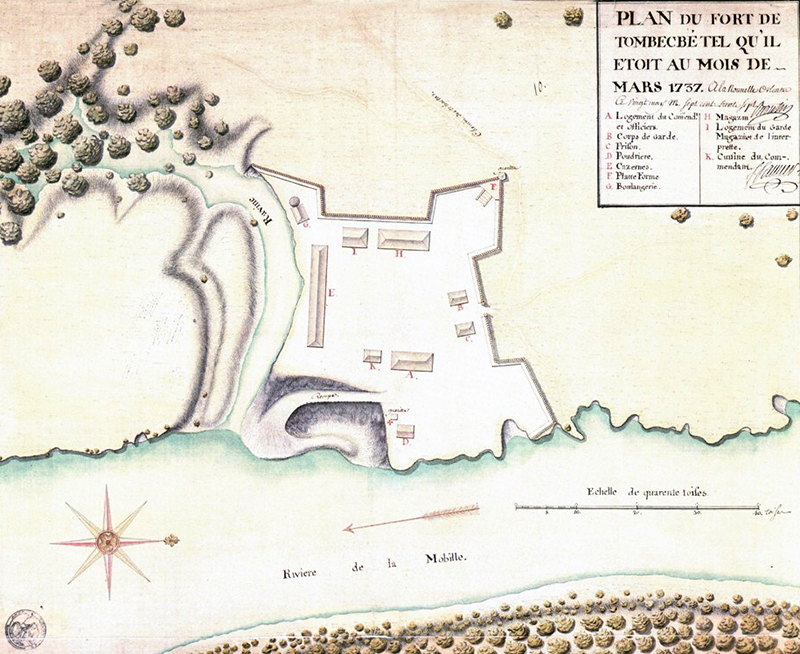 This drawing of Fort Tombecbe was created by French engineer Francois Broutin in March 1737. It displays the arrangement of the various buildings within the fort and its location on the Tombigbee River, called the Mobile River in the drawing. The long building is the soldiers' barracks, and the building located in the top left corner is the kitchen. The structure near the river, located away from the rest of the structures, is the powder magazine. Centre des Archives d'Outre-mer, Collection Moreau de Saint-Mery, F3 290/10.